Sometimes, I sit down to write and I have no idea what I’m going to write about. Other times, I have it planned out. 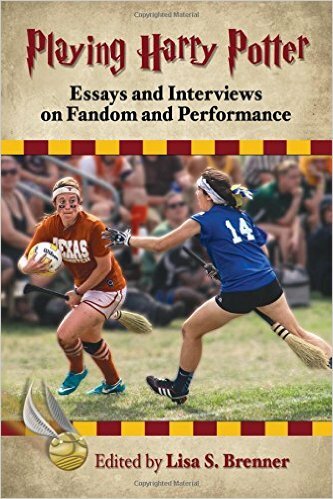 Today, I knew exactly what I was going to write about and then…I get news that there is a new Katy Kafe out! I scrap my plans and opt instead to listen to the Kafe and report on the highlights here! I’ll save that other blog idea for another day. As always, when Rhonda or I report on a Kafe, we are only sharing some highlights and our thoughts on them. If you want to hear the whole thing and everything that is mentioned, I recommend getting a membership to Duran Duran Music yourself! Nick talked about how he enjoyed going to the City Lights book store in San Francisco and how much he enjoyed the American Beat poets. I, for one, wish that we would have been able to get there to check out the book store for myself. That said, I did not know that Nick enjoyed that type of literature. Good for him. The best line of the whole Kafe definitely had to be when Nick talked about how he looked out into the audience there and all he saw was a “sea of cowboy hats”! Yeah, that is not common at Duran shows! How funny! Nick discussed how the shows have been great. He said that since there are not many of them, they have been “soaking up” every minute of them. That makes sense! He also mentioned that this is the first time they are playing in Hawaii and that there are not many states they haven’t played in, including Alaska, one of the Dakotas, Vermont, New Hampshire, Rhode Island and a few others. (For the record, Rhonda and I once thought about that as a goal–to see the band in every state until we realized that there are some states that Duran has never played in and some states they probably won’t ever go back to.) Interestingly enough, while the band has never played in Hawaii, Nick has visited for a holiday. Apparently, he, along with others this time, did visit Pearl Harbor, which he called “sobering”. Indeed. Nick has been taking photos, including the sunsets, even though he is trying to cut down on his photo taking to give himself a chance to create prints of the photos he has taken over the years. He might do exhibits and even sell some once he gets more prints made. (I bet there are Duranies who would love that!!) He even has a book of photos ready to go and is hopeful that it will be out before the end of the year! Nick mentioned that he would like to check off those missing states but that there are a lot of cities in Europe that they need to hit as well. He also would like to play in China and India someday. Overall, Nick seemed in good spirits and enjoying his time in Hawaii. I wish there had been some scoop about the 40th and what they are planning or thinking of there, but no luck. Maybe next time! The Lights Turn On: New Year’s Eve! As this show has loomed closer, my social media focused on Duran started hopping. A few days ago, an article, which you can read here, was shared by many fans planning to attend tonight’s and/or tomorrow’s show. The two big pieces that most focused on were the cost to get in and the dress code. According to the article and the email that ticket holders received, the casino is charging $75 on New Year’s Eve, in order to enter. These tickets must be purchased in advance through (my favorite) Ticketmaster. Good news is that ticket holders to the Duran show just need to show their tickets to enter WITHOUT paying this $75 charge. This is a good move for the casino since our tickets weren’t cheap! I, for one, will be interested to see what the crowd in the casino will be like with this additional cost. What exactly does that mean, people wonder? I question it myself. My assumption is that you can’t look like a bum. You have to look like you wanted to look nice. For tonight’s show, I’m wearing dress pants. After that, I’m planning on wearing nice jeans to the New Year’s Day show. I’m sure it will be fine. If not…well, then, I will deal. Unhappily. If anyone was on social media on the 29th, the big topic of discussion was the Cancun show, specifically the lack of Nick. As far as I know, there was no announcement saying that he was not going to be there nor was there an announcement saying that he was. Yet, many/most people expected him to be there because he had just played with the band in London not that long ago. If he was able to perform then, surely, he would be able to perform now, right? Once people realized that he wasn’t there, speculation grew. Why? What is going on? People wanted to know. From what I could tell, it wasn’t out of a desire to be nosey or to violate Nick’s privacy. No, it was more about wanting to know what to expect from Duran Duran. Could people expect Nick to be at upcoming shows? If not, shouldn’t fans know that before buying tickets? Obviously, this is what all Duranies wanted to hear. We all want Nick there. It doesn’t feel like the same band without him. While I was relieved to see that tweet, part of me will still worry until I see Nick on stage for myself. I’m a little paranoid. If anyone is planning on going to the show tonight or tomorrow night, come join me at the Lobby Bar (that’s the actual name of a bar in the casino) before the show. I am planning to be there a couple of hours before show time. After all, I want time to see people, have good conversation, and maybe have a drink or two! Wait, what?! What’s going on? Duran Duran is playing a show?! Today? For real? Are these pictures from today, too? I asked myself. I had to find out more! Everyone’s favourite dreamy-eyed scientist, Professor Brian Cox, and superb, erudite comedian Robin Ince join forces for their annual Christmas blow-out at the Hammersmith Apollo. The pair are co-hosts of Radio 4’s ‘Infinite Monkey Cage’, and these live shows will be similar, but with more of a variety feel, bringing together an array of scientific minds, stand-ups and musicians. What is even more cool about this event is that the proceeds go to charities like Médecins Sans Frontières UK (Doctors Without Borders) and the Sophie Lancaster Foundation. As I’m sure that many of you know Doctors Without Borders is an organization that works in over 60 countries to provide medical care. The Sophie Lancaster Foundation, on the other hand, an organization working creating respect for subcultures. While all that is super awesome, the big news for Duranies is that a certain keyboardist was in this picture! Does this mean that Nick is back?! 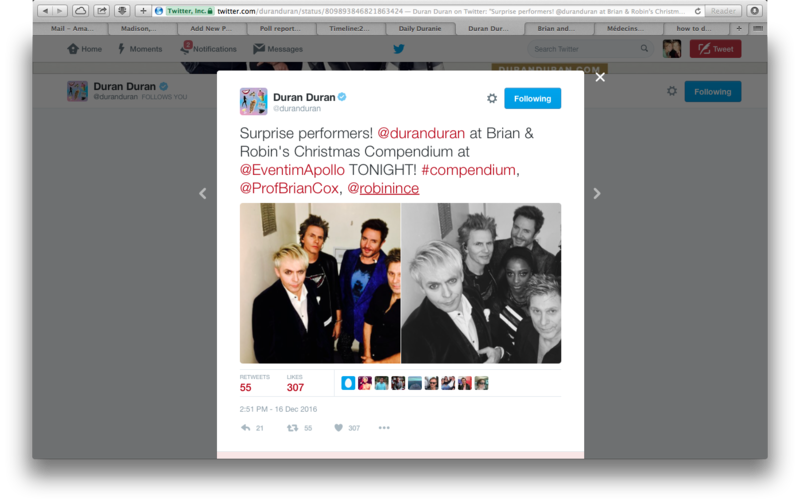 Indeed, the band’s twitter featured a picture of Nick with the hashtag #duranlive, #thecontroller. Well then! Now, I realize this show was in the UK, but most fans are hopeful that whatever caused him to leave the tour in the summer is no longer impacting his attendance for future shows. Does this mean that he will be at the Cancun show? The NYE shows? I think most of us are hopeful. I know that I am. Seeing Duran Duran play live right now is like getting a little Christmas present early! These clips get me even more excited for shows coming up! I got word of the official announcement that Duran Duran will be playing on New Years Eve AND New Years Day this year in National Harbor – a new development just outside of Washington DC. The venue (The Theater at MGM National Harbor) is 3,000 seats – so it is intimate, and the casino (MGM National Harbor) will provide just the right atmosphere for late night festivities in order to welcome 2017. It sounds like just the plan for Duranies on the east coast, or anyone willing to make the trip. As you are reading this on Tuesday morning, the pre-sale for the show dates are likely already taking place. You can find ticket prices and details here. No, the tickets are not cheap. These shows are taking place on New Years Eve and New Years Day, which are both holidays, and events typically sell at a premium. I can’t blame them even if I can’t join them! The hotel (MGM National Harbor) is also very expensive – stays for that period of time are ghastly prohibitive to many Duranies unless you are willing to share a room with twelve or more of your closest buddies, but I hear there are other hotels in the area, too. Good luck! Is Nick going to be appearing with the band? In the past, this would not have even been a question. In fact, I feel a little silly for even wondering because, well…this summer was just a fluke, right? Of course he’s coming back. Right? However, after missing the entire leg of shows this summer, the question still hangs in my head. I didn’t have to wait long to see if anyone would ask. When the subject came up yesterday on Twitter, Katy responded that she did not have the answer to that question at this time. You mean, there really IS a question hanging in the air about this?! I guess for me, I’m sitting here wondering how Duran Duran can plan shows without even knowing if their keyboard player is going to be there. But then I remember that MNDR played the entire tour, and did a fantastic job. Even so, wasn’t that really just a one-off thing, or is this “something” really more of a permanent deal? Or maybe, it’s that Katy answered honestly. She didn’t want to say yes or no because it wasn’t something that had been discussed yet. I can see that. I mean, you can’t really commit to something you don’t know. Perhaps by the time this is published (I’m writing ahead! ), all will be known and this will be a non-issue. 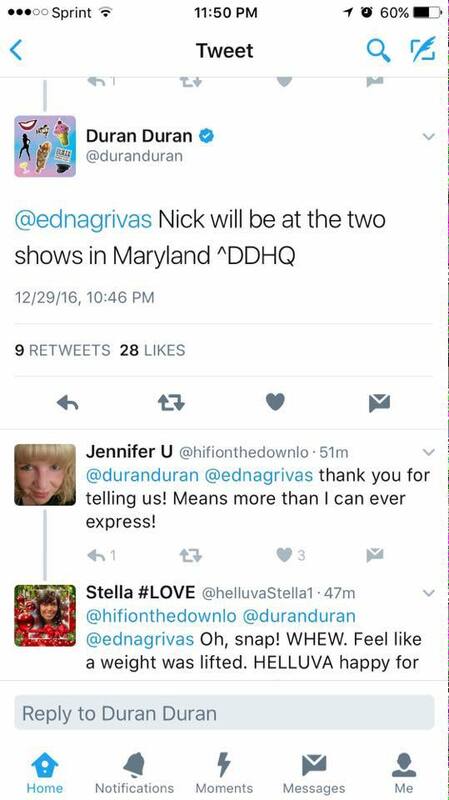 I guess the one thing I know for sure is that at some point, Duran Duran should choose to come clean on this and say whatever it is that needs said, even if that’s to say that of course Nick is going to be performing. Having the question hanging in the air is worse than having the words out there in black and white. Fans have the right to know who is going to be playing keyboards before they shell out a handful of money to see another gig. Amanda and I have openly chosen not to press the issue with Nick because we accepted that he wanted whatever he needed to do kept private. We get that. I get that. To be clear, I am not requesting that the band give any more details besides whether or not he is planning to appear. This isn’t about privacy, or Nick’s health…or needing to know every last bit of minutia. However, if he isn’t going to tour with the band, I think it’s time to just say so. I believe this is owed to their fans and the people who have stuck by them through several guitarists, drummers, and even bass players over the years. I think the fans have more than proven their staying power, and dammit – we’re pretty supportive when given the opportunity. I’d like to be given that chance.